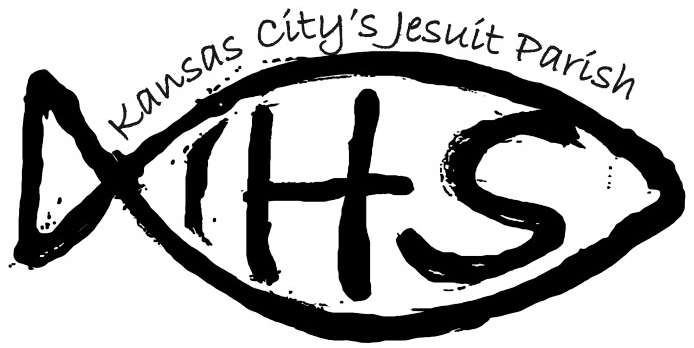 St. Francis Xavier parish was established on July 1, 1909, by Jesuit priests from the newly founded, yet unnamed, Rockhurst College. The Jesuit Provincial had wished for the parish to be named St. Ignatius, but Bishop Hogan insisted that it be named St. Francis Xavier. Fr. Michael Ryan, S.J., served as the first pastor of the parish. The first parish Eucharistic celebration took place on August 1, 1909, in a house located near the corner of 53rd and Forest. At the time, the land was changing slowly from rural to suburban, and only a dozen families made up the new congregation. In 1910, under the direction of Fr. Charles Kiefer, a church/school building was erected at 53rd and Forest. The building was dedicated in the summer of 1910 and served as a church seating 252 people and a two-room schoolhouse. The parish school opened with 50 students and was staffed for the next 70 years by the Sister of Charity of the Blessed Virgin Mary from Dubuque, Iowa. Fr. Michael Ryan, S.J. returned to the parish in 1910 as the first resident pastor and lived in a farmhouse that was on the church property. In 1914, when the Jesuit residence was completed at Rockhurst College, the pastor moved into the residence and the farmhouse was converted into space for the school. By the early 1920’s, the parish had outgrown both the church and the school. In 1922, a two story school building was constructed at 53rd and Harrison. On Good Friday, 1925, the church caught fire and burned to the ground. After the fire, an “auditorium church” was constructed adjacent to the new school building. A new rectory, located behind the auditorium church, was constructed in 1929 and additions to the school were made in 1931. During the first decade of life, the parish community established several social and prayer groups, including the Young Lady’s Sodality (founded in 1912) and the Holy Name Society for men (founded in 1918). During the 1930’s and 40’s, the parish flourished. There were nearly 2,600 parishioners from 643 households. The Holy Name Society drew so many men to its Masses that women were encouraged to attend a different Mass. Many times, Holy Name Mass was held in Rockhurst College auditorium to accommodate the crowds. In 1937, a fund was started to raise money for a new, larger church. These plans were delayed by World War II, but by 1944, Bishop O’Hara had purchased a plot of land on the southwest corner of 52nd Street and Troost. This land would become the site of the modern church. In 1947, Francis Berry Byrne and Joseph Shaughnessy were chosen to create the new church building. 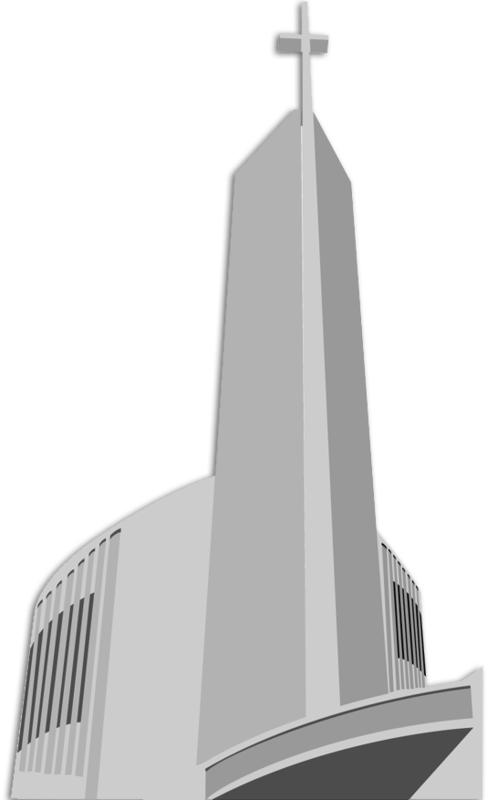 The design of the church was unusual: shaped like a fish, complete with blue windows, the church had its share of critics. Pastor John Gerst, S.J., stressed that, “The beauty and nobility of the edifice will grow on you, I know.” Ground was broken on March 14, 1948, and the cornerstone was laid on June 26, 1949. On July 4, 1950, the church was dedicated and the first Mass was celebrated. The school building was erected in 1961 on the grounds at 53rd and Harrison. The building housed 14 classrooms, a gymnasium, and a cafeteria which was to double as a parish hall. A convent for the Sisters was once located above the parish school. Over the next 40 years the school educated thousands of neighborhood children, both Catholic and non-Catholic. In 2003, the parish school closed and the building was leased to a public charter school. In 2000, St. Francis Xavier celebrated the 50th anniversary of its church building which has won several architectural awards over the years. A few years later, in 2007, the parish raised over $1.1 million for restorations and renovations of this beloved building. That same year, the Kansas City Star Magazine listed St. Francis Xavier Church in the top 10 architecturally favorite buildings in Kansas City, the only Catholic Church to be honored. For 100 years, St. Francis Xavier Parish has been well-known for its welcoming atmosphere and its love of God. May the next 100 years hold as many treasures as the past.